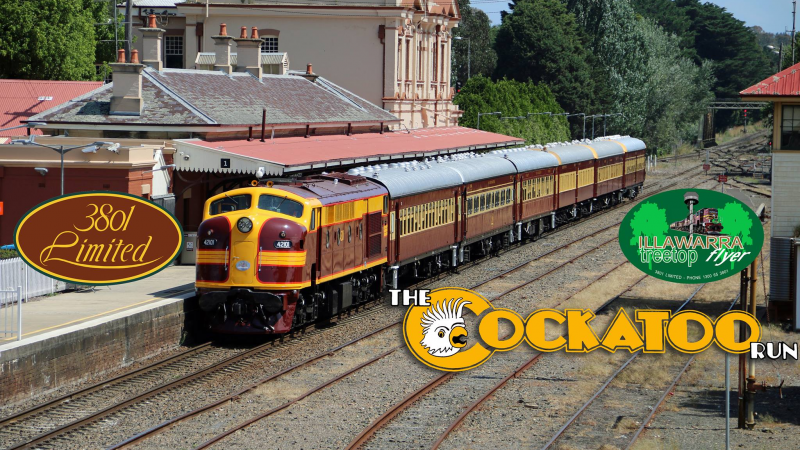 We invite you to join us on the Cockatoo Run, hauled by meticulously restored locomotive 42101 and featuring our beautiful heritage carriages. This heritage train operates from Sydney through to Robertson and Moss Vale via Wollongong. The line climbs 600 metres through rainforests, past waterfalls, and the spectacular viaduct. The train makes a stop at Summit Tank to admire the view over Lake Illawarra out to the Tasman Sea. The historic Southern Highland township of Robertson with its old town atmosphere and the rustic appeal is generally a great tourist stopover in which to spend some time. You have the choice of detraining here or alternatively continuing onto Moss Vale before we return to central, via the way we came. For family tickets, these are only available in the MFS car only. We welcome boookings for disabled passengers, however our carraiges are heritage carraiges and therefore we cannot accept bookings for some disabilities. Please contact us to discuss your situation before booking.